Brendan DuBois’s short story, “The Dark Island,” was nominated for a Shamus Award for Best Short Story. Dana Cameron and Dennis Lehane were nominated for the Anthony Awards for their short stories in Boston Noir. In addition, Cameron’s story was also nominated for a Macavity Award. 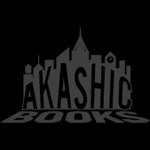 Dennis Lehane answered 15 Questions for Akashic’s Literary Lions feature. Read his answers here. Brand-new stories by: Dennis Lehane, Stewart O’Nan, Patricia Powell, John Dufresne, Lynne Heitman, Don Lee, Russ Aborn, Itabari Njeri, Jim Fusilli, Brendan DuBois, and Dana Cameron. “Boston is a city that produces guys—or, in the city’s vernacular, knuckleheads—who once stole the replica of a cow that sat in front of a Braintree steak house. The cow weighed what a car weighed, and yet these knuckleheads had the industry to get it onto a pickup truck, drive it back to South Boston, and deposit it in the middle of Broadway. They did this solely so they could then call the Boston Police Department and ask them to respond to a “beef going down on Broadway” . . . So we have our distinct humor and our distinct accent and our distinct vocabulary. All of which—sadly, possibly—is now endangered by progress. Because one can’t ignore that Boston has been beset by a new class war of late, one you’ll see reflected in the stories herein. It’s a war of gentrification. As the city continues to lose its old-school parochialism and overt immigrant tribalism, it’s also losing a lot of its character. Whether that’s a bad thing or a good thing is up for debate, but what can’t be argued is that it is, in fact, happening . . .